Listen carefully. Tribal cadres are wasting their time and life TRIBAL CHAOS. Ye Zega politicians are building THE ETHIOPIAN KOSMOS. why not mind your Amhara region the way u think best.. and leave the oromia and other region to govern themselves as they see it fit.. if they think qoute and qoute ye zega politika is good for them they will take it if they think ethnic politika is good for them then they should be allowed to govern in what ever system they want as long as the respect fed. government and pay tax .. what is our problem..
Folks like you are not created to lead a nation. Why do you waste your time here? This is a concept beyond your genetic endowment. Please don't bother to try to dialogue with me. We know woyane Tigrays.. donot waste time..
That language based federal system is not working remains to be true. Language based federal system had not been the Ethiopian people issue , and never will be. Rather it had been the issue some radicals in the 60s believed in , and which they imposed on the nation. The failure of the experiment demands Ethiopians to start discussing an alternatives. Federalism based on residence, not ethnicity , I believe, will be the best alternative. The failure of the experiment demands Ethiopians to start discussing an alternatives. Federalism based on residence, not ethnicity , I believe, will be the best alternative. i agree with your Federalism based on residence, not ethnicity.. the problem what language does those region speak .. let take oromia .. let say oromo, Amhara, Tigray and Afar live in that region now we make all of them equal the owner of oromia based on on their residency the problem is what language does those ethnic speak that is the problem.. if we keep the language based fed. system while giving equal right to those who live in oromia but all residency must lean afan oromia not by force but afan oromia will be the de facto regional language where all ethnic groups communicate with each other.. now if u take the same people and start living in Amhara region they must learn the de facto regional language which is Amharic like with if u live in Somalia, Tigray or even smaller region u must lean their language four point. Amharic should be a second language and your native language should be the first language ..end of story.. this is the price u pay to keep mama Ethiopia otherwise if u try hoodwink the oromo by telling them let change the fed. system to residency fed. system and introduce Amharic it would be the end of mama Ethiopia it would not benefit anyone.. if u dont enforce Amharic trust me more people will learn it..
You also need to remind these rigid & fanatical people that a "one country & one language" system was operational in Ethiopia for more than 100 years & its miserable failure has led to others [woyane] experimenting with a federal system. They banned the Somali language in the east & ended up with 3 major wars that consumed the lives of millions & even the lives of 600+ Cuban soldiers! Ethoash, self-contradiction is a badge of honor to you. If you agree federal system based on residence is the right approach, the language thing you throw in for distraction is not a problem. If you the golden ethnic child wants to live in Oromia, your kids learning Oromegna in school does not wash away their Golden thing that you are not tired of telling us. By the way, residency implies to move your damn a.. somewhere else if you choose so. In other word the TPLF verdict the village you were born is the place where you should die is no longer operational. You don't need to create a false enemy to wage an abstract war. Nobody ever has said 'one country, one language' . We say one nation, one country, one Ethiopia. This simply saying a united Ethiopia. This very same issue being solved by the people themselves. Ethiopia is neither a prison of "nations" socalled. I call them tribes. Nor is she the sum of 100 tribes. Ethiopia is one nation unto herself. Ethiopia is one state unto herself. Ethiopia one sovereign country. There is no and there will be no other tribe call it by 100 different names that can displace or replace or destroy the Ethiopian nation. What we see currently is the psychological chaos of tribal elites. Politics is behavior. The motive force of this behavior power. Every cry and scream of the tribal political elite is about power. But what these tribal elites fail to grasp is how purpose driven human systems combine to form a new whole or a greater system. The 100 tribes are the parts that form the Ethiopian whole. What is forming a natural and sustainable whole is a social, political, economic and cultural order founded on the free and sovereign individual, a free human being called the CITIZEN. Tribal elites hate the idea of a free citizen, liberty, freedom or justice because what they want is a system, miserable system where by they hold hostage of their own prisoners called killilized human animals to be used as a currency for these tribal entrepreneurs. We say that the free and sovereign human individual citizen is the foundation of the Ethiopian nation, the source of all political powers, the engine and mover of Ethiopian development. It is this very idea of liberty and justice that every wanabee tribal dictator and authoritarian hate with passion. There is no crisis among 110 million ordinary Ethiopian citizens. There is crisis in the political psychology of the power seeking tribal eites. Well, this is 21st century and t is impossible to control a population with a religion of tribalism. Let the people be free from tribal gods. You try too hard to lecture us about the merits of having a 'non-tribal liberal nation-state' with your 'zega politics' when, in reality, you live in a country built by tribal warlords intent on getting rid-off other bunch of tribal warlords who swore allegiance to a monarch who resided on the opposite side of the Atlantic [Britain]. Tribal warlords create & defend nation-states & your zega-politics could only work well in a nation built around a single tribe+language. That is: in fact, those who push for the emancipation of tribes & tribal self-rule are conduits of the ideals of liberal democracy & zega politics than those who advocate a pie-in-the-sky model of a liberal democratic & zega-politics in country where there are 80+ tribes whose elites don't even see eye to eye. In a sense, tribal politics is NOT necessarily something that is anathema or contrary to the ideals of zega-politics. Rather, those who push for the emancipation of tribes are in-fact creating the ground work for a zega-politics to take root BUT in the context of a single tribal/national entity [their own tribe & tribal territory]. 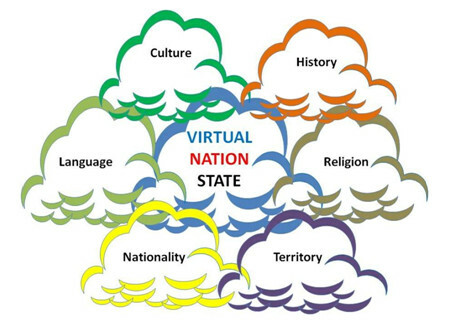 This is how European nation-states & their zega-politics evolved. So, stop creating unnecessary confusions & try to study how nations-states & zega-politics evolved in your own adoptive country [USA] before lecturing Ethiopians. Also, if the tribes of Ethiopia want a tribe-based political system .. that should be it as 'ካባቱ የበለጠ ቡዳ ነው!/kabatu yaweqe buda n'ew'. If the tribes think that they can create a better state on the basis of their own tribes & can pay for it .. that should be the end of the story. Good man. Nagaatti. photo: a tribe [nation] is the natural, logical & necessary per-requisite/requirement for a 'zega politcs' & liberal democracy to take root. An empire, a political entity or a country built around a forced collection of multiple tribes or nations, could not foment zega-politics unless the empire-state crushes the tribes/nations & forcefully creates a single nation-state as France did at a great cost in human lives, resources, etc, did. Lecture is one way learning and teaching. It means reading and learning by reading. That is what you do 24/7 here - read. don't blame me. If you don't want be lectured you have the choice to return to preliterate tribe you came from. Lecture is good. It is a modern literate way of learning. The question is what do I lecture> What do you lecture. The distinctions between the tribal and Ethiopian lecture is now the central debate of the next election. Welcome to democracy !!! You have the right and if you have the intellectual space to argue for a tribal social system but you neither have the right nor the ability to stop an Ethiopian citizen from lecturing about the necessity and glory of liberty freedom, justice of the citizen in building a civic Ethiopian nationalism. I am Horus. Negatti! Honestly, I am unfamiliar with the banning of any of Ethiopia's local languages as an official policy. I am aware of the religious overtones that if you are not a Christian, you are a pagan, or if you are not a Muslim, you are a Kafir, or something like it. By that account the Borana who believe in Waqa are excluded by preaching. However, I know that preaching is not an official policy. Then again, what you conveniently avoid facing is that two wrongs don't make a right. Assuming you are familiar with it, how has the debate between the "ዖሮሞ ቁልቁሉ" (ንጹህ ዖሮሞ) and other Oromos been going? Do you know if any of the leaders of the different factions of the former OLF is "ዖሮሞ ቁልቁሉ?" What appears evident is that each of them appear to be fighting for a federal region of their own. If so, it may have come naturally. Leaders of nobles don't watch a generation that calls one another የቦረና ዘላን and የምኒልክ ሰፋሪ. Speaking of natural since you seem to be interested in it, how deep is our understanding of the natural bond between ዖሮሞ and Oromo? Can you see it? while የዜጋ ፖለቲክስ end up የዘር ፖለቲክስ because Ethiopia doesnt have their own language like the Japanese or Korean or French or English has. You are now joining my classification of The Chaotic Minds. You gave Somalia (unitary tribe) as a paradigm case of possible citizen based political community!! How little you understand the very idea of civility, city, citizenship, human individuality, liberty, and the very concept a modern constitutional political community. Dude, Somalis are clan organized society, not even fully tribal society. The Somali individual has no meaning and existence let alone a modern liberty outside of his clan membership and loyalty. Do you know why this so called single race, single religion folks massacre each other like animals? Last edited by Horus on 17 Jan 2019, 23:57, edited 1 time in total. You got it wrong... it is "Va laver ta sale gueule imbe'cile"
Democrat - I like your name very much !! Option#1: the collapse of the Ethiopian empire-state & the emergence of a series of nation-states similar to the processes that led to the collapse of the far more powerful Ottoman Empire [Turkey] & the emergence of more than 30! independent nations-states at the end of World War I . The unceremonious collapse of the rotting Ottoman Empire gave birth to more than 30! independent Nation States that span three continents: Europe, Asia & Africa. Option#2: the creation of an ethnic/tribe-based federal system of government similar to that of India, Malaysia, Russia, etc. 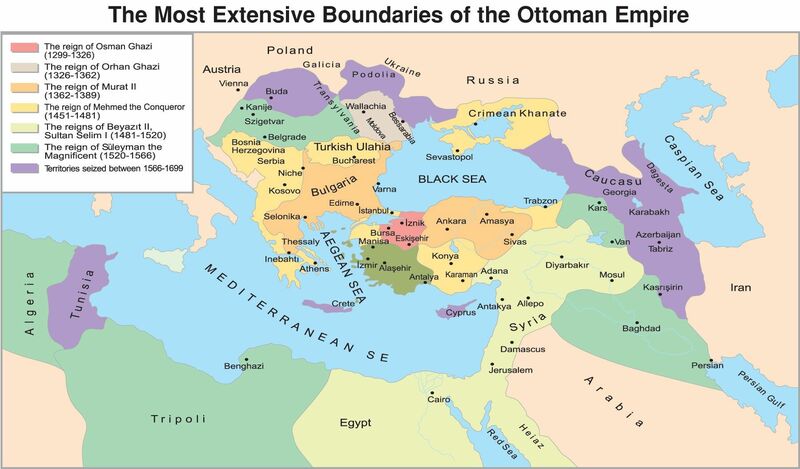 1a) - map of the Turkish Ottoman Empire, with Istanbul [old Constantinople] as capital, showing its European, Western/Central Asian, Arabian & African colonies before it collapsed during World War I [1914-18). 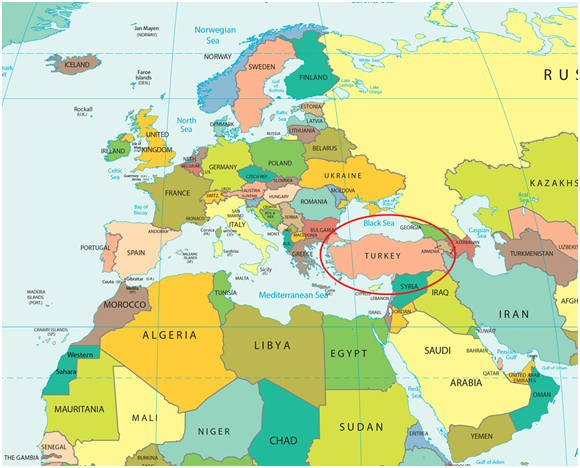 1b) - map of modern Turkey & its neighbouring nation-states [ex-colonies] more or less built around separate tribes/nations. 2a) - map of the Mogul [Indian] Empire with its colonies that became the autonomous states of India following the creation of the 'Federal Republic of India' when this gained its independence from Great Britain in 1947. 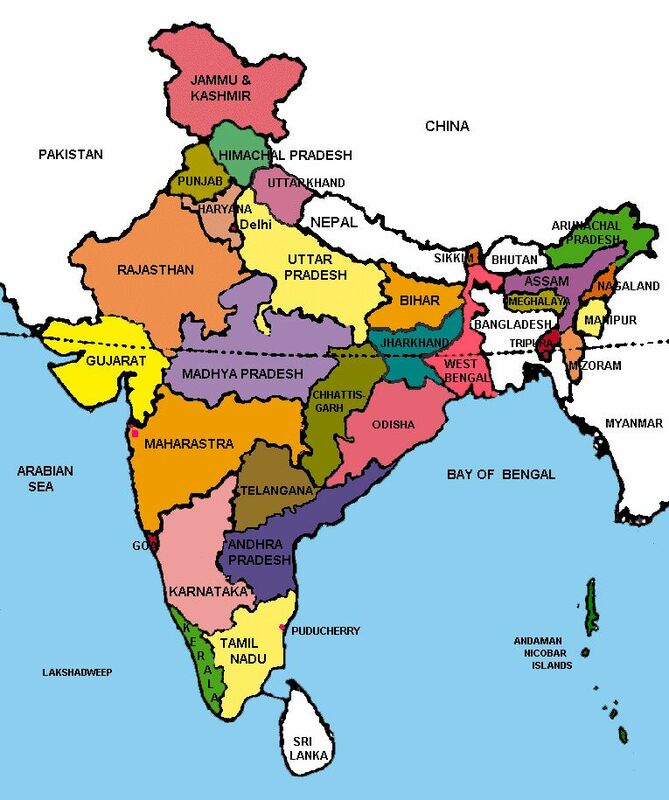 2b) - map of the 'Federal Republic of India' (today) showing the autonomous states built around languages/tribes that make up India. Last edited by yaballo on 18 Jan 2019, 01:36, edited 1 time in total. Welcome to my classification of 'Chaotic Mind'. FYI, I use chaotic mind for those folks who lack an idea about issue they are talking about and for those folks who fail to think clearly about a particularly defined issue at hand. Don't waste your time copying pasting the world Almanac here. It is beyond your age and probably level of education. I was in 7th grade when learned about the rise and fall empires like Roman, etc. We are in Ethiopia, the Ethiopian nation and we are talking about the Ethiopian people. Negatti !!! Don't be so daft/stupid! I am using a world almanac to illustrate an idea - options - to folks who seemingly went through higher education but remain dogmatic/fanatic about certain topics [eg.YOU & your obsession with 'tribes', etc]. If I had a way, I will demand the repayment of the amount of Oromo tax birr that was WASTED on wannabe habesha fanatics & closed-minded DILLS like you! That is: you are NOT even a real habesha but ..! I don't have time to educate you on the anthropology of the tribe. You need to do that. The Oromo cosmos is now managed by Abiye-Lemma party. The Oromo chaos belongs to you and OLF. Negatti !!! Let us stop it here.